These are not really Gooseberries but are Ground Cherries. There are two varities out there. The regular Ground Cherry is yellow fruited and has a bit of a Garlic after taste. This is a Cape Gooseberry variety. It is larger, orangish and better tasting. These have an okay taste but if you heat them up, a real smokey sweet flavor comes out that is good in pies and on ice cream. The Ground Cherry loves the heat here in Texas while the Cape Gooseberry is a bit heat sensitive. I have both plants but these really large ones came from Central Market in Austin. They are probably imported from Chile. This was one of the large Jujube fruits this year. Very delicious once it gets some red on it. Only pic Jujube in the morning as they dump their moisture during the day. I harvest these berries every morning and evening from spring to early winter. I have to bring the tree inside during the coldest days of winter. These guys really took off this year. I plan on growing more on the fence line next year. These guys will ripen from late October to early December. They taste like Strawberries and Pineapple mixed together. They love the Texas climate. I have been blessed/cursed with baby squirrels again. These were hanging on to the gutter during a rain storm about 20 feet up. I had to get a ladder to save them. They are the natural enemy of the fruit grower but I am such a big softy. Bottle feeding is going good and they should be ready for release in another 6 weeks. After the flood on June 11th, we have had no rain until Tropical storm Hermine dumped 3-12 inches depending on where you live. Now that the ground is moist and the ponds are full, I am looking forward to some cooler weather. We had Pineapple Quince this year and mixed it with Li Jujube to make a darn good pie with almost no sugar. It was still pretty sweet with just a tablespoon of honey. We are expanding our orchard to include another 7 rows this winter. We will be planting lots of Shinko Asian Pear and Sugar Cane Jujube. I dont have any pictures from the orchard right now so I will post stuff from the house. Here is a picture of a peach seedling. This tree was only 18 months old in the picture and had already reached 9-10 feet. It is even bigger now. 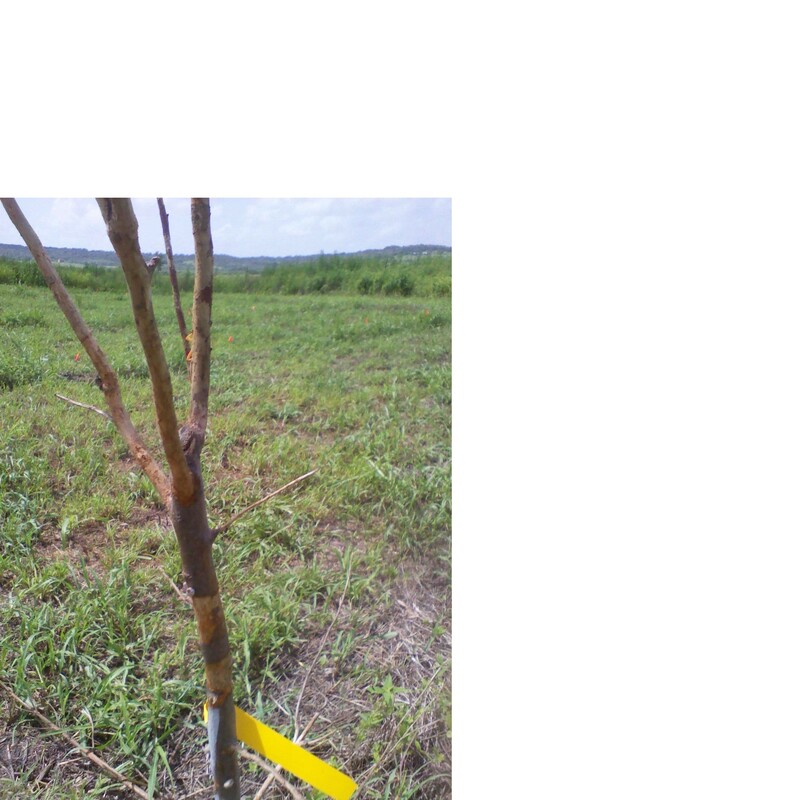 This might be a good rootstock for peaches at the land. It would incredible if it made decent fruit. I would name the cultivar Texas Peach Bomb or something stupid like that. This is the time of the year when it is hot so the toads hide out in your Satsuma seedlings. This critter had to jump up 1.5 feet, crawl along an edge and hop into the pot. He does it everyday. The grasshoppers have really come in hard this year. They really like the taste of Apples and have completely stripped this one down past the bark. I can only cut off the top 80 percent and hope it comes back next year. Due to the large amount of rain coming in this season, our figs are enormous. It looks like it is setting a second crop too.